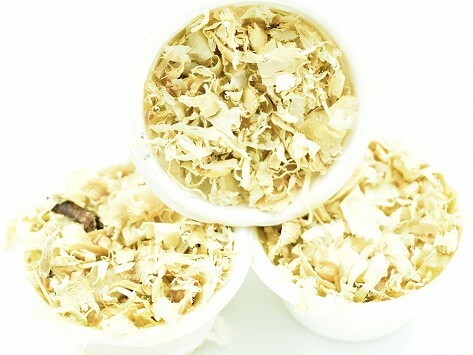 Light your smoker in seconds with these non-petroleum RapidFire FireStarters. Made of natural, food-safe smoking wood that burns incredibly hot, your fire will have a solid head start—FireStarters burn for 20 minutes or more. For use with the DiamondKingSmoker Grill Box. Want to smoke meat or fish? 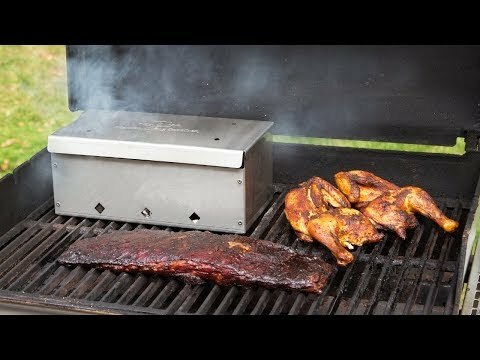 This BBQ smoker box lets you use the grill you’ve already got. It streamlines the smoking process and works on any type of grill. Patrick King paired over 30 years of experience in the forestry industry with expertise in wood science—not to mention a passion for smoking—to make a BBQ smoker that does the job easily at home. And his all-natural wood chunks and pellets lend distinctive flavors to the meat (like almond, cherry, and mesquite). Just place your protein—ribs, chicken, or even fish—next to a lit box, and the smoker does the rest. It’s a simple process, but it does take some time to get that smoky goodness just right. But trust us, the tasty results are worth it.